How Do I Get Workers Compensation Treatment for a Back Injury? Most people never expect that they would have to deal with a workers compensation back injury. It can be very confusing when you are suddenly in pain and unable to do your job. You may not know what your rights are. You want to make sure that you get good medical treatment to get better. Your employer or their insurance company has probably told you that you have to go to certain doctors. You may not know what rights you have. This article will provide some information about how Georgia’s workers compensation law covers medical treatment for back injuries and what you may need to do to make sure you get the treatment you need. Does Georgia workers compensation cover medical treatment for back injuries? Yes. Medical benefits are one of the three basic benefits provides by Georgia’s workers compensation law. The other two are wage loss benefits (temporary total and temporary partial disability) and permanent partial disability benefits. Basically, medical benefits under workers compensation pay for the medical treatment and testing you need because of your injury. You do not have to pay copays or deductibles. But, there are certain rules that you must follow to make sure the workers compensation insurance company has to pay for your medical treatment. What are some of the common types of medical treatment and testing that I will need? All these back injuries could occur in different parts of your back. Doctors refer to your low back as your lumbar spine or lumbosacral spine. They refer to your mid back as your thoracic spine and your upper back/neck as your cervical spine. Most back injuries will start with the doctor recommending x-rays or some other type of diagnostic testing like a CT scan. Your treatment afterward will depend on the results to this testing. If the doctor thinks that your back injury can be treated conservatively while they evaluate it, the doctor may prescribe medications and physical therapy. If the testing shows an injury that needs to be addressed more immediately, the doctor could recommend surgery or some other more aggressive treatment. Even when the doctor recommends conservative treatment initially, you may need more testing later if your injury does not get better. It is very common for doctors to recommend an MRI if you continue to experience back pain. This MRI can provide the doctor with a more detailed picture of some areas of your back. If the MRI shows a herniated disc or some other injury which causes pain, the doctor will probably recommend additional treatment. What problems could I encounter getting medical treatment for my back injury? The two biggest problems people run into getting treatment for a back injury are delay and denial. Most medical offices want to know that the treatment they will be paid for the treatment they perform. Because of this, they often want the insurance company to provide them with approval or authorization before you get the treatment. This causes a problem for you because you have to wait to get treatment until the insurance company gives the doctor approval. When you cannot get the treatment you need, your injury will probably not get better and could very likely get worse. This can be a serious problem when you have a severe back injury. 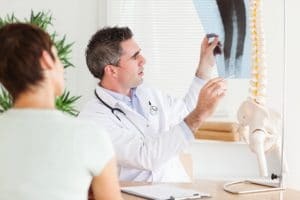 Are there Georgia workers compensation rules that I can use to help me get medical treatment? Georgia does have some workers compensation rules that are intended to help get medical treatment approved. The primary rule is Board Rule 205. This rule provides a couple of different methods for getting medical treatment approval more quickly. The first is called a Form WC-205. The doctor’s office can use this form to request preauthorization for medical treatment. The second method for approval of medical treatment was introduced in 2017. That method is called a Form WC-PMT. It allows you to request a conference call with a workers compensation administrative law judge to try to get the judge to order the medical treatment. Some other ways to get medical treatment approved include contacting the insurance company adjuster and requesting a hearing. The best method to use will depend on the particular facts of your case. 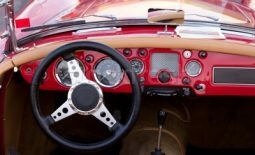 Can a Georgia workers compensation attorney help me get medical treatment? You do not have to have a workers compensation attorney, but a workers compensation attorney can often help you get medical treatment approved. 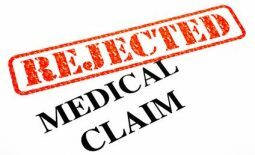 I handle medical treatment approval issues almost every day including contacting insurance adjusters, filing Form WC-PMTs, and requesting hearings to get medical treatment approved. If you are having issues getting medical treatment approved, you probably want to find out what could be done to assist you and what it would cost. I provide free consultations in workers compensation cases so you can decide whether I can help you without having to worry about the cost. This article explains in more detail how a free consultation works and what you can learn. If you are ready to schedule a free consultation, it only takes a few minutes. Just call our office at 770-214-8885 or complete and submit the consultation request form. I very much enjoyed getting to meet everyone I got to meet. Cliff and Tina were very patient. I would recommend them to my family and friends because I would want them to be represented by someone who would treat them like family.